Mesenchymal stem cells (MSCs) can exert an immunosuppressive effect on any component of the immune system, including dendritic cells (DCs), by direct contact, the release of soluble markers and extracellular vesicles (EVs). We evaluated whether MSCs and MSC-derived EVs have an immunomodulatory effect on monocyte-derived DCs in type 1 diabetes. Bone marrow derived MSCs were characterised and EVs were obtained by ultracentrifugation. DCs were differentiated from CD14+ cells, obtained from nine type 1 diabetic patients at disease onset, pulsed with antigen GAD65 and cultured with MSCs or EVs. Levels of DC maturation and activation markers were evaluated by flow cytometry. GAD65-pulsed DCs and autologous CD14− cell were co-cultured and IFN-γ enzyme-linked immunosorbent spot responses were assayed. Secreted cytokine levels were measured and Th17 and regulatory T cells were analysed. MSC- and EV-conditioned DCs acquired an immature phenotype with reduced levels of activation markers and increased IL-10 and IL-6 production. Conditioned DC plus T cell co-cultures showed significantly decreased IFN-γ spots and secretion levels. Moreover, higher levels of TGF-β, IL-10 and IL-6 were detected compared with unconditioned DC plus T cell co-cultures. Conditioned DCs decreased Th17 cell numbers and IL-17 levels, and increased FOXP3+ regulatory T cell numbers. EVs were internalised by DCs and EV-conditioned DCs exhibited a similar effect. In type 1 diabetes, MSCs induce immature IL-10-secreting DCs in vitro, thus potentially intercepting the priming and amplification of autoreactive T cells in tissue inflammation. These DCs can contribute to the inhibition of inflammatory T cell responses to islet antigens and the promotion of the anti-inflammatory, regulatory responses exerted by MSCs. The online version of this article (doi: 10.1007/s00125-015-3808-0) contains peer-reviewed but unedited supplementary material, which is available to authorised users. Dendritic cells (DCs) are a heterogeneous group of immune cells involved in the priming, differentiation and expansion of effector T cells. Activated DCs are required for priming naive T cells, and DC presentation of islet autoantigens probably occurs during the development of islet autoreactivity in type 1 diabetes. Thereafter, DCs may play a role at all disease stages [1, 2]. Recent studies indicate that DCs acquire tolerogenic properties during in vitro manipulations by supplementing culture conditions or actively silencing genes or promoting their overexpression, with therapeutic potential in the prevention and treatment of autoimmune diabetes [3, 4, 5]. 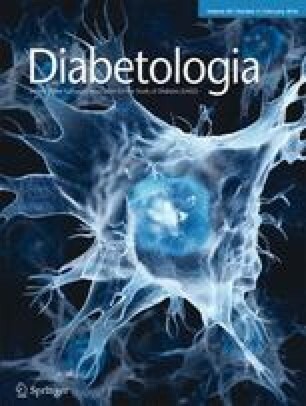 In NOD mice, tolerogenic bone marrow derived DCs have been shown to delay, prevent and, in some cases, reverse diabetes [6, 7]. The inhibition of DC differentiation, maturation and function and the induction of regulatory DCs that can induce regulatory T cells (Tregs) may account for the multilevel immunomodulatory properties displayed by mesenchymal stem cells (MSCs) both in vitro and in vivo [8, 9, 10]. MSCs have emerged in recent years as a safe, promising treatment strategy for autoimmune diseases, including type 1 diabetes [11, 12]. Originally performed in animal studies, this cellular intervention has recently been translated to patients with recent-onset diabetes . MSCs exhibit their immunomodulatory effects through direct contact, the production of soluble markers and the release of extracellular vesicles (EVs). EVs express MSC surface receptors and carry biologically active proteins, lipids, mRNAs, long non-coding RNAs and microRNAs (miRNAs) . Several studies have suggested that direct inhibition of DC effector function is involved in the immunological tolerance state induced by MSCs [9, 10, 15]. In this context, MSCs have been shown to hinder the ability of DCs to prime antigen-specific T cells in vivo as a result of downregulating C-C chemokine receptor type 7 (CCR7) and cluster of differentiation (CD) 49dβ1, which are involved in DC homing to the draining lymph nodes . So far, few studies have analysed the effects of MSCs on the profile and function of DCs in the context of type 1 diabetes, where the role of DCs has still to be fully elucidated [17, 18]. In NOD mice, MSC-released IL-6 has been reported to affect DC phenotype, differentiation and cytokine production and to divert the CD11c+ subset toward a more regulatory tolerogenic phenotype . Studies on the co-transplantation of allogenic islets and MSCs in streptozotocin-induced diabetic mice have shown that downregulation of the maturation, co-stimulatory and MHC class II molecules of recipient DCs contributes to graft survival by conversion to a more tolerogenic phenotype . The aim of the present study was to investigate whether bone marrow derived MSCs and their EVs can alter in vitro the maturation and phenotype of monocyte-derived DCs from patients with type 1 diabetes at disease onset. The inhibition of islet antigen T cell activation by MSC- and EV-conditioned DCs and the promotion of an anti-inflammatory and Treg phenotype were also studied. Peripheral blood mononuclear cells (PBMCs) were obtained from nine white patients with recent-onset type 1 diabetes on the basis of a positive IFN-γ response to glutamic acid decarboxylase (GAD65; stimulation index [SI] ≥3; Table 1) by enzyme-linked immunosorbent spot (ELISPOT) analysis as previously described [12, 21]. CD14+ monocytes were isolated by positive selection (CD14 microbeads, Miltenyi Biotec, Bergisch Gladbach, Germany) and CD14− PBMCs were stored in liquid nitrogen until needed. Immature DCs were generated by the addition of 100 ng/ml human granulocyte-macrophage colony-stimulating factor (GM-CSF) and 50 ng/ml IL-4 (both from PeproTech, Rocky Hill, NJ, USA) and induced to mature (to form mature DCs [mDCs]) on day 6 by adding 50 ng/ml TNF-α and 50 ng/ml IL-1β (both PeproTech) for 48 h and pulsed at a concentration of 1 × 106/ml with 10 μg/ml GAD65 (Diamyd, Stockholm, Sweden) or, in a limited set of control experiments (n = 3), with 5 μg/ml Pentavac (PV) polyvalent vaccine (Sanofi Pasteur, Lyon, France). In one set of experiments, immature DCs were induced to mature with 40 ng/ml lipopolysaccharide. All study participants gave informed consent and the study was approved by the local ethical review committee. Heterologous MSCs were obtained from Lonza (Basel, Switzerland) and characterised. EVs were obtained by differential ultracentrifugation and quantified by nanoparticle tacking analysis, as previously described . A pool of approximately 2.5 × 108/ml EV particles was labelled with 2 μl/ml Vybrant Dil (Life Technologies, OR, USA) for 15 min at 37°C and then washed, ultracentrifuged at 100,000 g and added to mDCs (2 × 105) for 24 h. After washing, EV internalisation was assessed by flow cytometry and confocal microscopy (LSM5-PASCAL, Zeiss, Oberkochen, Germany) analyses. In control experiments, Dil-labelled MSC EVs were denatured by boiling (10 min at 95°C) and then incubated with mDCs. GAD65-pulsed mDCs (5 × 105) were seeded onto a MSC monolayer (1:1 ratio) in 24-well plates and cultured for 48 h (referred to as MSC-conditioned DCs). The optimal DC:MSC ratio (1:10, 1:1 or 10:1) and incubation time were selected on the basis of previous experiments using DCs obtained from blood donor PBMCs stimulated with 5 μg/ml recall antigen PV. Furthermore, when more DCs were recovered from a diabetic patient, mDCs were incubated with MSC-derived EVs (6.25 × 107 particles/ml) for 48 h in selected experiments (referred to as EV-conditioned DCs). Conditioned DCs were recovered by gentle aspiration and centrifugation; parallel experiments using unconditioned mDCs and MSC-or EV-conditioned DCs were performed. The levels of differentiation, co-stimulatory and maturation surface markers were analysed by flow cytometry using FITC- or phycoerythrin-conjugated monoclonal antibodies (mAbs; anti-CD14, anti-CD83, anti-CD1a, anti-CD86, anti-CCR7, anti-HLA class I and anti-HLA class II; BD Pharmingen, San Diego, CA, USA). Data were acquired using a FACSCalibur and analysed using CellQuest Software (Becton Dickinson, Franking Lakes, NJ, USA). EVs obtained from human dermal fibroblasts (i.e. fibroblast-derived EVs; Lonza) served as controls . In a limited set of experiments, mDCs from diabetic patients (n = 3) were cultured in MSC-conditioned medium or in EV-depleted conditioned medium. Levels of TGFB1, IL4, IL6 and IL10 transcripts was analysed by real time PCR (primers listed in electronic supplementary material [ESM] Table 1), as previously described . Levels of secreted IL-6, IL-10, TGF-β and prostaglandin E2 (PGE2) were measured in cell-free culture supernatant by ELISA, according to the manufacturer’s instructions (R&D, Milan, Italy). In parallel experiments, mDCs and MSC-conditioned DCs were co-cultured with autologous T cells (1 × 106) for 48 h (DC:T cell ratio, 1:10) and stimulated by GAD65 for 48 h. IFN-γ ELISPOT analysis was then performed, as previously described . In selected experiments (four patients), T cell plus EV-conditioned DC co-cultures were also established. T cell proliferation was detected using a carboxyfluorescein succinimidyl ester (CFSE) assay. Briefly, 2 × 107/ml CD14− cells were labelled with 500 μl CFSE (5 μmol/l; Sigma, Milan, Italy) and the reaction was stopped with RPMI medium (containing 10% FCS). CFSE-labelled CD14− cells (1.5 × 106) were co-cultured with autologous unconditioned mDCs or MSC-conditioned DCs (DC:T cell ratio, 1:10) with GAD65 stimulation for 5 days. Cell proliferation and cell-surface expression of the CD69 activation marker (anti-CD69PE mAb; BD Pharmingen) were analysed by flow cytometry. Tregs and T helper 17 (Th17) cells were analysed in GAD65-stimulated T cells under different co-culture conditions, as previously described . Levels of secreted IL-6, IL-10, TGF-β, IFN-γ and IL-17 were measured by ELISA (R&D). An SI of ≥3 was chosen as a positive response in the ELISPOT analysis . Spots and levels of cytokines and PGE2 were compared using the Mann–Whitney U or the Wilcoxon test for unpaired or paired data, respectively. Data were analysed using the IBM SPSS statistical package (version 9.0, Chicago, IL, USA), and p values <0.05 were considered significant. Phenotypic analysis of DCs generated from CD14+ cells and cultured in the presence of MSCs (1:1 ratio) showed skewing toward an immature phenotype with increased expression of CD14 and a reduction of CD1a expression. Cell-surface expression of the maturation marker CD83 and the co-stimulatory molecules CD86 and CD80 was lower for MSC-conditioned DCs (Fig. 1a, b). MSCs also had significantly reduced expression of the CCR7 chemokine receptor and HLA class II molecules (Fig. 1c). Although not significantly different compared with mDCs, a similar trend was observed when EVs were used instead of MSCs in a limited number of experiments using DCs from four GAD65 responder patients (Fig. 1a). No significant modification to maturation or co-stimulation marker levels was detected in mDCs cultured with fibroblast-derived EVs, MSC-conditioned medium or EV-depleted medium (Fig. 1a, d). Furthermore, when MSCs were added at a late stage of DC differentiation and maturation, they did not significantly interfere with the lipopolysaccharide-matured DC phenotype (ESM Fig. 1). Confocal microscopy and flow cytometric analyses indicated that MSC-derived EVs were internalised by DCs (Fig. 2a, b). In control experiments, denatured EVs were not detected in mDCs (Fig. 2a). Secretion of IL-6, TGF-β, IL-10 and PGE2 was significantly increased in MSC-conditioned DCs compared with mDCs (Fig. 2c). This cytokine pattern was also evident in EV-conditioned DCs, but not in DCs cultured in MSC-conditioned or EV-depleted medium (Fig. 2c). Upregulation of IL-6 and IL-10 in both types of conditioned DCs was confirmed by increased IL6 and IL10 transcript levels (Fig. 2d). Furthermore, TGFB1 and IL6 transcripts were detected in MSCs and in EVs, while IL10 transcripts were only detected in MSCs (Fig. 2d), as previously reported . As shown in Fig. 3a, T cells co-cultured with conditioned DCs exhibited reduced proliferation after GAD65 antigen stimulation. Levels of the early T cell activation marker CD69 were also significantly reduced (Fig. 3b, c). ELISPOT analysis showed that GAD65-pulsed, MSC-conditioned DCs co-cultured with autologous T cells showed an inhibited IFN-γ response (mean spot number: with mDCs 56.3 ± 43, with MSC-conditioned DCs 22.9 ± 21; p < 0.05 for paired data), resulting in a SI of <3, i.e. below the positive cut-off (Table 1 and Fig. 3d). Flow cytometric analysis showed an increased proportion of CD127lowFOXP3+ T cells (gated on CD4+CD25high) when co-cultured with MSC-conditioned DCs compared with mDCs (p < 0.05), and a reduced percentage of IL-17+ T cells within the CD4+ population (p < 0.05; Fig. 4a, b and ESM Fig. 2). A similar trend in the IFN-γ response was observed in FOXP3+ T cell and IL-17+ T cell subsets co-cultured with EV-conditioned DCs in selected experiments, although without reaching statistical significance. In experiments using PV to pulse mDCs, MSC-conditioned DCs co-cultured with autologous T cells showed a significant reduction in IFN-γ spots (ESM Fig. 3). Secretion of IL-6, IL-10 and TGF-β was increased and secretion of IFN-γ and IL-17 was reduced in co-cultured MSC- and EV-conditioned DCs compared with mDCs (p < 0.05; Fig. 4c). Clinical and experimental data indicate that DCs are involved in the pathogenesis of most autoimmune diseases via complex mechanisms. DCs can bidirectionally promote either the priming and differentiation of self-reactive T cells or tolerance through the generation of Tregs or induction of effector T cell unresponsiveness [22, 23, 24, 25]. Ex vivo manipulated tolerogenic DC-based therapies for animal models of autoimmune diseases have been reported. Tolerogenic bone marrow derived DCs can suppress collagen-induced arthritis or prevent hyperglycaemia in NOD mice without inducing generalised immunosuppression [5, 7, 26]. Intriguingly, EVs derived from in vitro generated immunosuppressive DCs can retain the effects of their parental cells [27, 28]. Recently, clinical trials using tolerogenic DC-based therapies have been designed [4, 5]. The present study of type 1 diabetes indicates that heterologous bone marrow derived MSCs in a proinflammatory environment can skew monocyte-derived DCs toward an immature, IL-10-producing regulatory phenotype. This was associated with decreased levels of co-stimulatory marker and an altered cytokine pattern, possibly via mechanisms dependent on IL-6, TGF-β and PGE2 production. In autologous co-culture experiments under islet antigen stimulation, MSC-conditioned DCs failed to trigger antigen-driven inflammatory effector T cell activation, detected as IFN-γ production, the number of Th17 cells, levels of proinflammatory IL-17 , and T cell proliferation and activation. DC modulation by MSCs was, at last in part, mimicked by MSC-derived EVs after internalisation by DCs. Several lines of in vitro and in vivo research indicate that the dual ability of MSCs to suppress or promote the immune response depends on the microenvironment, and that vigorous ongoing inflammation induces the immunosuppressive function . Soluble markers such as PGE2, cytokines and released EVs contribute to the MSC effects [8, 14, 30]. However, as indicated by conditioned medium experiments in the present study, not only secreted factors but also target cell contact [8, 31] or high EV concentration [21, 32] are required to fully induce an immunomodulatory effect, at least in vitro. It has been established that after surface receptor interaction, internalisation or fusion to target cell membranes, EVs transfer proteins, lipids, functional mRNAs and miRNAs that control transcription, proliferation and immunoregulation [14, 32, 33, 34, 35]. Although specific antigen-dependent interactions do not appear to be required to mediate DC immunoregulatory functions [36, 37], our data indicate that in vitro DC antigen specification can target diabetogenic T cells and convey tolerogenic signals. Indeed, it has been shown that antigen-primed DCs induce better protection in NOD mice and that cognate antigen–MCH class II complexes enhance IL-2 induced Treg proliferation [37, 38, 39]. Recall antigen experiments confirm at the DC level that MSCs interfere with the antigen-elicited immune response, without limiting the exploitation of their immunoregulatory properties in transplantation and several autoimmune diseases [8, 13, 30], and with the potential advantage of local action at specific inflamed anatomical sites. The key therapeutic attribute of both MSCs and DCs is related to their ability to selectively migrate to sites of tissue injury and draining lymph nodes [3, 11, 39, 40]. This may allow further local antigen provision and interaction with activated T cells in situ. In agreement with other studies [16, 41], we found that MSCs downregulate the CCR7 chemokine receptor, known to drive the mature DC homing to draining lymph nodes. This potential limiting effect could, nevertheless, inhibit an autoimmune amplification loop during the progression of type 1 diabetes. Indeed, in NOD mice, tissue inflammation augments DC maturation, CCR7 upregulation and migration to lymph nodes, where they amplify the ongoing immune response by promoting the priming of autoreactive T cells . Increasing evidence indicates that DCs promote immune tolerance by the induction of Tregs [42, 43]. MSC and MSC-derived EVs induce a shift toward an anti-inflammatory Treg profile that is exploitable in immune disease settings, including diabetes [8, 11, 21, 44]. It has been suggested that direct inhibition of the DC effector function underlies the immunotolerant state induced by MSCs [9, 10, 15]. In the present study linking the immunomodulatory properties of both cell types, we show that MSC- and EV-conditioned DCs increase their IL-6 and IL-10 content and secretion. In co-culture experiments, conditioned DCs induced a higher frequency of T cells with a regulatory phenotype and increased T cell secretion of anti-inflammatory IL-10 and TGF-β and IL-6 molecules. Therefore, an amplifying loop that mediates and propagates immunomodulation while inhibiting the maturation of inflammatory DCs can be envisaged . Although data regarding the effects on beta cell function and survival remain controversial [45, 46], IL-6 may also stimulate beta cell repair. Thus, in DC–MSC combination therapy, multiple layers of tolerance could be formed involving regulatory DCs, T cells and even B cells  that may act and accumulate in relevant tissue. In conclusion, the present in vitro study confirms that DCs are a target of versatile, immunomodulatory MSCs in the context of type 1 diabetes. Moreover, MSC-released EVs retain this biological effect, at least in part, thus rendering them an attractive tool to exploit the benefits of MSC therapy. Their ability to induce tolerogenic DCs, together with their easy procurement, their low tumorigenicity (as shown in several clinical studies ) and recent promising results in new-onset diabetic patients  renders MSC therapy a promising therapeutic strategy to locally control autoimmune pancreas inflammation and halt the progression of type 1 diabetes. We are grateful to blood sample donors for contributing to this research. This work was supported by Regione Piemonte, Piattaforme Biotecnologiche, Pi-Stem project and by a grant from Fresenius Medical Care. GC is a named inventor in related patents. CT is a full-time employee of Fresenius Medical Care, Germany. All other authors declare that there is no duality of interest associated with their contribution to this manuscript. MMZ and EF conceived and designed the study, performed experiments, and analysed and interpreted data; MMZ and GC wrote the manuscript; AC, CC and CA designed and performed experiments and analysed data; MG and GC contributed to the study design, analysed and interpreted data, and oversaw research; and PC-P and CT interpreted data and contributed to the discussion. All authors critically revised the manuscript and approved the version of the article to be published. GC and MMZ are the guarantors of this work and, as such, had full access to all data and take responsibility for the integrity of the data and the accuracy of the data analysis.